If you’ve been following this story for a while, you’ll have certain expectations. It’s hard to tell from the inside, but I’d imagine that reading this saga is like going around and around on a rollercoaster all afternoon. After a while, you can pretty much tell when the stomach churning drops are coming. If you’re new and you can’t, they always come shortly after the prospect of success appears on the horizon. But you know that. You’re not here to bathe in the glow of reflected glory. You’re here for the same reason that you slow down to look at traffic accidents. And that’s fine. I respect that. 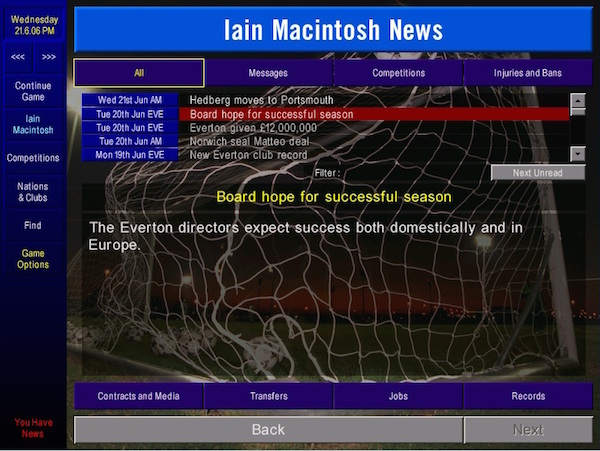 But I’d really appreciate it if one of you would have a word with the board and let them know what Everton’s all about because I really think they’ve got unrealistic expectations. 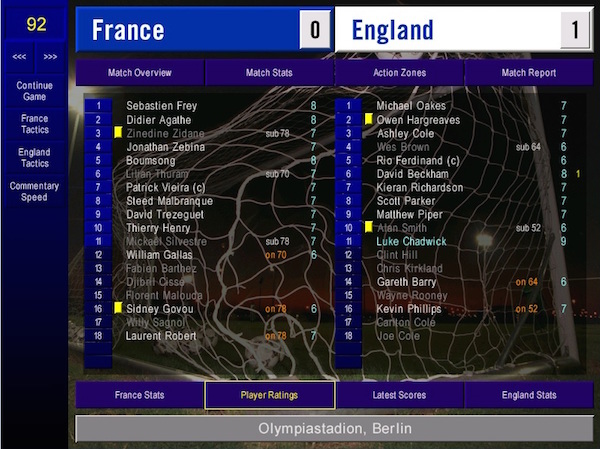 It’s going ever so well for Trevor Francis’ England side out in Germany. 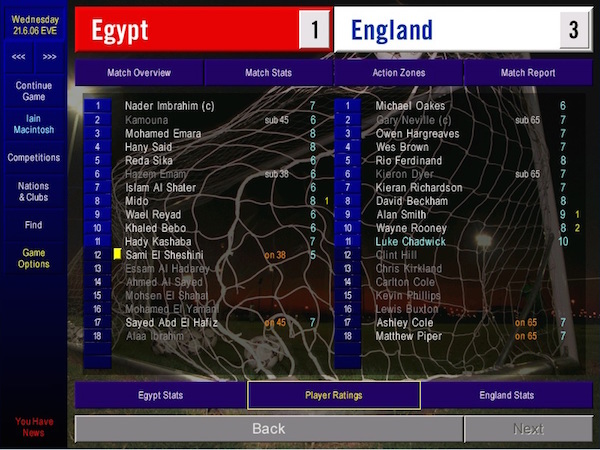 They storm through the group stage, thanks largely to our own Wayne Rooney, but also to one Luke Chadwick. Who knew? 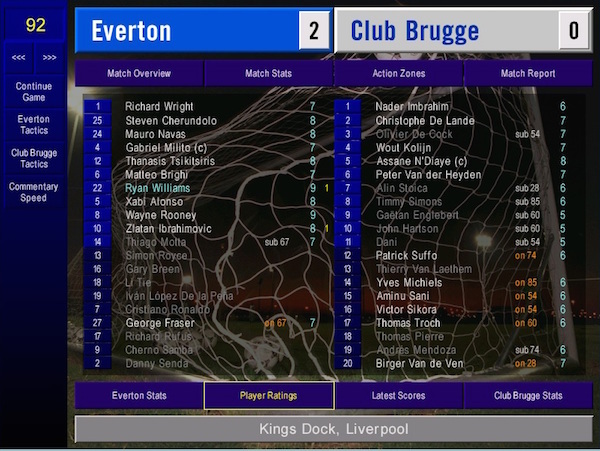 And then it gets even better in the second round when the hosts are put to the sword by Alan Smith and Matthew Piper. In this alternative England, St George’s flag is raised on every street, the beer gardens are full and the name of Trevor Francis is toasted from Truro to Tyneside. This alternative England is very odd. But while everyone else is glugging back Carling Black Label and singing about the Queen, I’ve been busy. 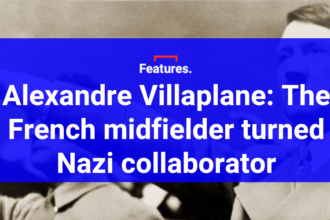 It’s been clear for some time that we’ve needed an upgrade in midfield. 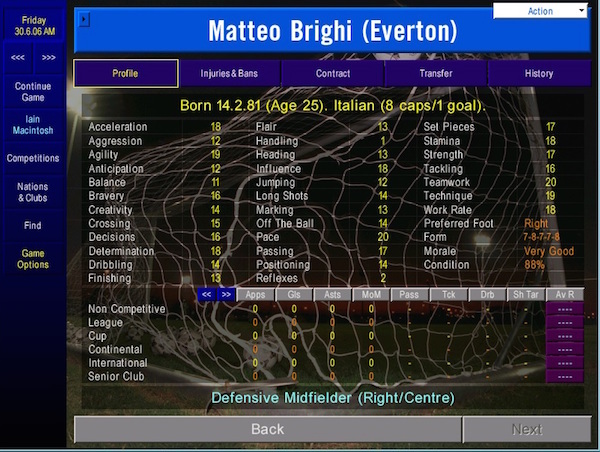 Please welcome the new mainstay of our football team, signed for a whopping £10m, it’s Parma’s Matteo Brighi. How, I wonder, will the rest of the league enjoy these apples what I have purchased. 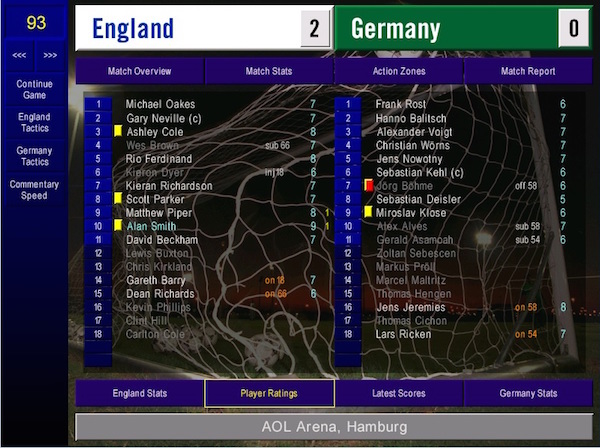 Meanwhile, the magic continues in Germany where a late David Beckham goal sends England through the last four in the World Cup. What sort of a thing is happening here? And what sort of a thing is happening at Arsenal? This is quite the signing from Arsene Wenger. And there are wild celebrations in Germany where England reach the World Cup Final, despite being thoroughly outplayed by Argentina. 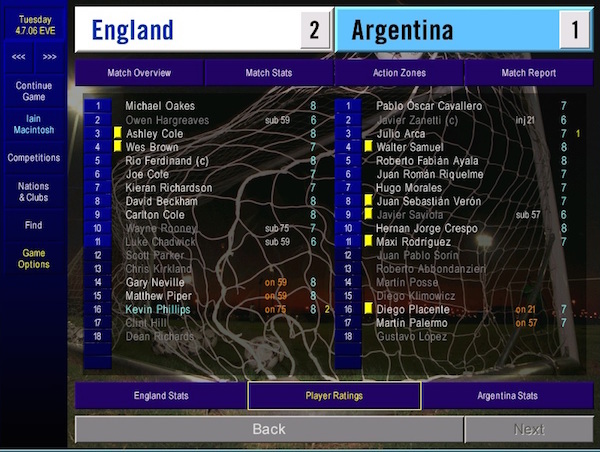 Julio Arca appears to have done enough to knock Francis’ men out, but he’s reckoned without Kevin Phillips, on for a disappointing Rooney, who scores a last minute equaliser and then a fine golden goal to drag England through. This generation are finally delivering on their potential. Apart from Rooney, obviously. He was rubbish. 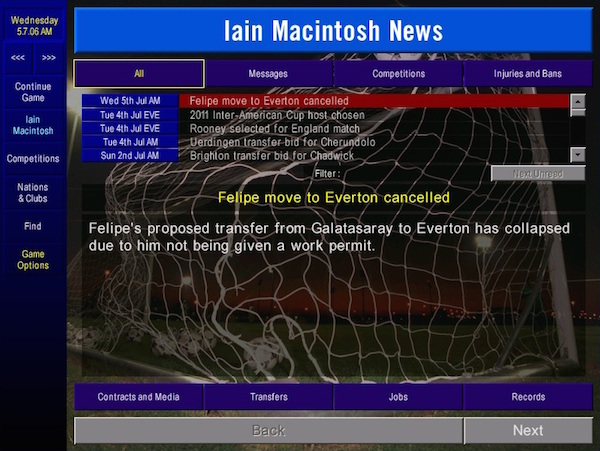 But we’re brought back down to earth on Merseyside when the meddling government block our move for Felipe. This is annoying, mainly because he’s a good player, but also because we’d stopped looking for cover on the left and we’ve missed out on so many players. 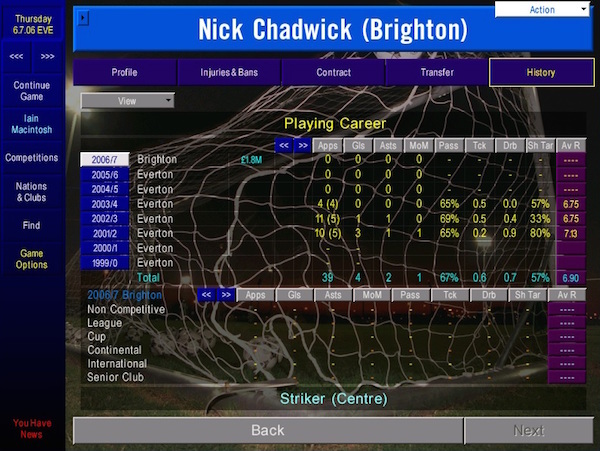 We also say farewell to the unfulfilled promise of Nick Chadwick. 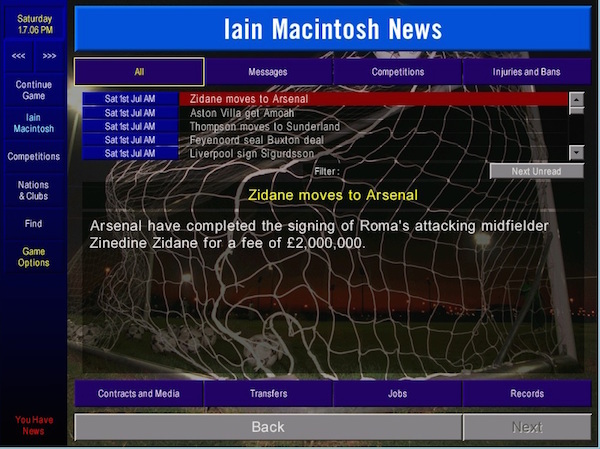 I’m quite surprised to have brought in £1.8m for a striker who hasn’t scored since 2003, but I’ll take what I can get. There are certainly plenty of ways to re-invest it. And indeed the Chadwick money pays for 2/3 of this young man, who should prove a more than useful addition to the midfield. I don’t wish to offend those who have come before, but I really think that Brighi, Alonso and Ivan de la Peña will offer a little more than Lee Carsley, Thomas Gravesen and Gary Fisken. We also welcome Jon Harley to the fold, a man of ridiculous pace who can either play full back and allow Mauro Navas to move to his natural right side, or who can play on the wing if I choose to go 4-4-2. For £3.2m, I think he’ll prove decent value. And so to the World Cup Final and, if it’s a little surprising to see England on such a lofty stage, it’s just as strange to see them up against Roddy Collins’ Ireland. And it’s the Irish who take the lead, through the irrepressible Robbie Keane. Rooney, somehow keeping his place, equalises before the break and then goes on to put England in front in the second half. Ireland mount a furious charge for victory, Keane is sent off in the last minute, but there’s nothing they can do. All hail Trevor Francis, King of the World! According to Simon Jordan, when Palace sacked Trevor Francis on this day in 2003, "He just sat there quietly & said 'But it's my birthday'." England win the World Cup and Rooney is the hero of the day. So, I guess I won’t be selling him then. As cover for the right side, we’ve brought in our first American since the departure of the much-missed Joe Max-Moore. 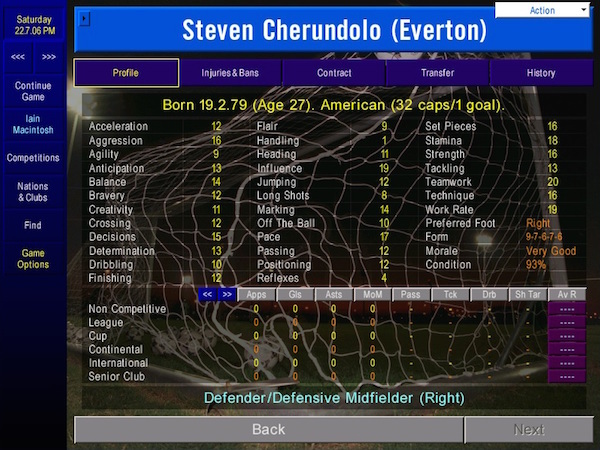 Steven Cherundolo was just £1.9m and looks as if he can shut down the right flank as well as creating a few chances. For the first time, we now have four entirely trustworthy fullbacks. And so to the pre-season friendlies, the details of which will not concern you. 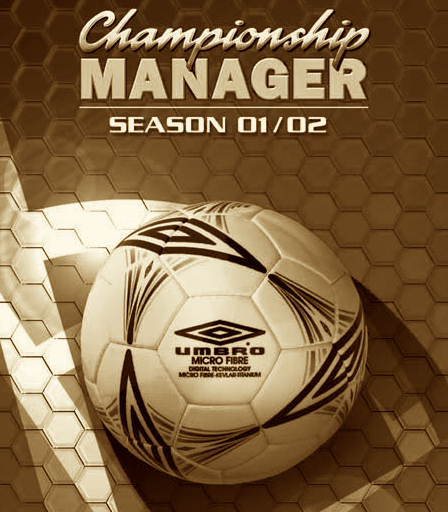 But for those who just miss the thud and blunder of domestic football, here’s what happened. A comfortable opening to the campaign and a chance to use 4-4-2 in less-than-testing circumstances. 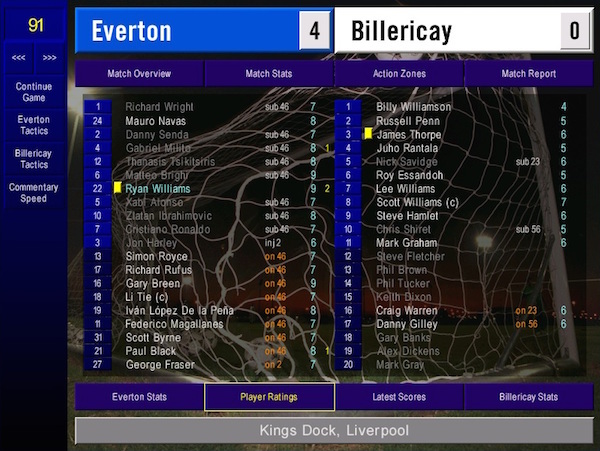 Ryan Williams excels on the right winger, youngster Paul Black scores on his sort-of-debut, Brighi is outstanding and Simon Royce makes an entrance as this season’s back-up keeper. 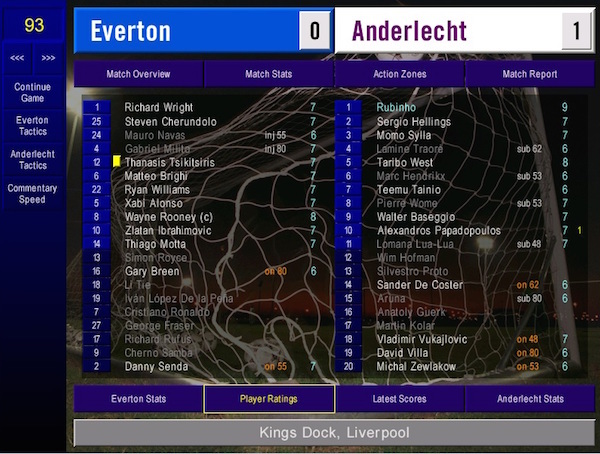 It’s 4-4-2 again and it’s a vintage Everton performance, in that we had 17 chances, they had one and they won 1-0. The sword of Damocles hangs ever more over Zlatan’s head. 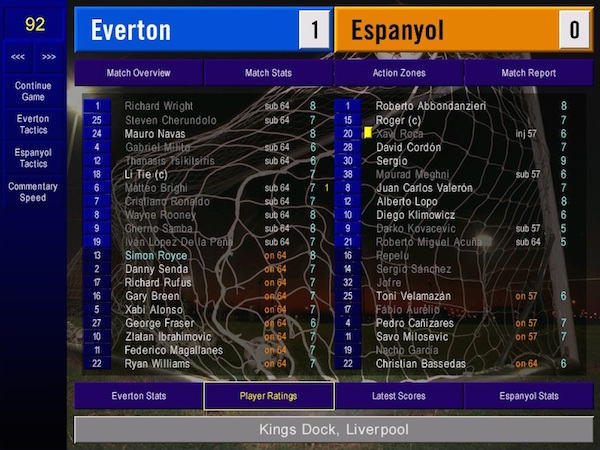 Back to the flying full-backs and diamond midfield for Espanyol, and an encouraging result too. Wayne Rooney returns after his extended World Cup break. A reassuring performance from Royce too. Just in case. Another turn for 4-4-2 and it’s certainly looking like the best option. Everyone is comfortable, everyone is settled. 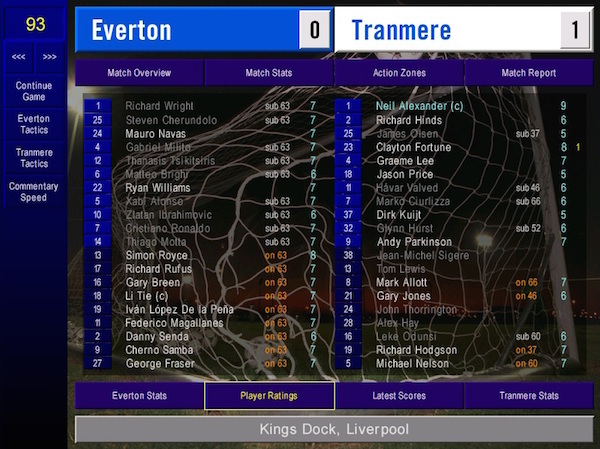 And finally, one of the strikers has scored. And it’s Zlatan.